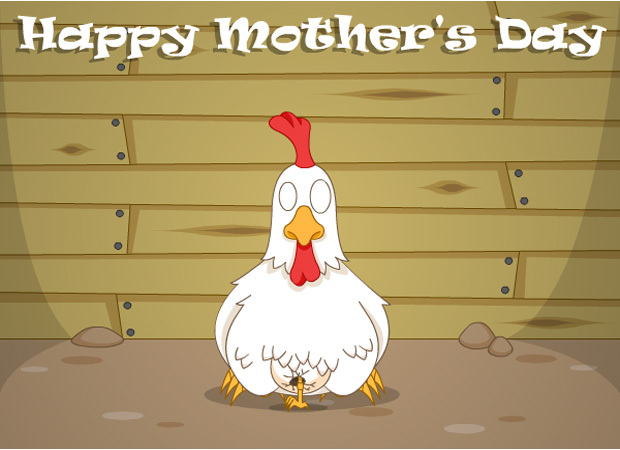 This mother’s day e-card starts off with a scene of a chicken in a hut laying an egg and it rolls away from her. The farmers hand comes in and picks it up and takes it away. This happens 3 times and the last egg that comes out stops and a couple of legs pop out and it jumps back towards the mother and snuggles under the mother. The farmers hand appears again and the mother hen gives the farmer a death look. The hand retreats and text appears saying "Happy Mothers day!". This is a great mothers day e-card, how could any mum not be touched by this one!